More than 6,200 marketing experts from 99 countries coming from various industries, company sizes, and seniority or rank levels have spoken on the current state of Inbound this 2018. See what they have to say on this report from Hubspot. 69% of the respondents prioritize converting leads to customers, 54% aims to grow website traffic, 44% wants to increase revenue derived from existing customers, 42% would like to prove the ROI of marketing activities, 37% target sales enablement and 29% would want to reduce the cost of contact acquisition. Here’s more, another study vouched on the strength of inbound: inbound marketers believe in their efforts more than outbound marketers with 68% inbound marketers and only 48% of outbound marketers claim their marketing efforts to be ‘effective’, 46% reported inbound marketing gave higher ROI, and only 12% reported for outbound. 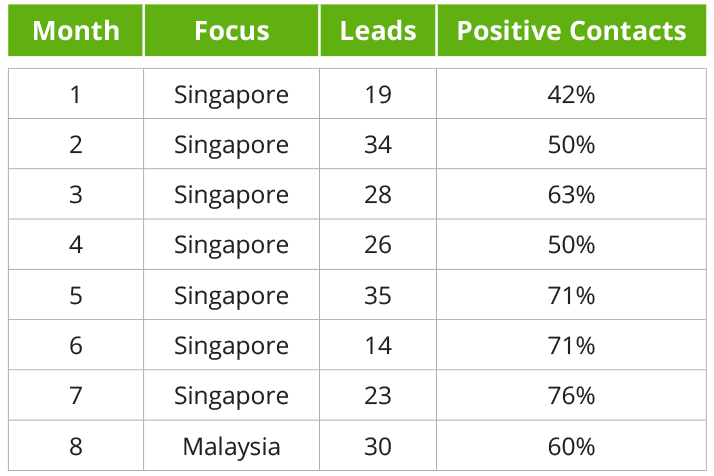 While discussion on higher quality leads for sales, 59% were positive for inbound and 16% for outbound; and when asked if which marketing tactic has improved in the last two years, 59% noted increase on inbound marketing and only 16% for outbound. Looking at the reports, inbound marketing seems to be overbearing with potentialities and tenacity, yet marketing challenges are still encountered along the process which hamper achievement of the above goals: 61% of the respondents are challenged on generating traffic and leads, 39% on proving the ROI of their marketing activities, 27% on securing enough budget, 25% on managing website, 24% on identifying the right tools for their marketing goals, 23% on training the team, 22% on hiring top talent and 20% on targeting content for an international audience. The sales funnel has a wide opening which means that it can accommodate a large number of leads, but this does not mean however that marketers could freely pour in just any amount into it. In order to maximize time, effort and costs for a lead generation program, one must ensure quality right from the start point of the process – generating quality leads that are highly sales-convertible. Marketing automation is the trend and has proven effectivity on many accounts because of its qualification capabilities. However, marketers must couple their automation tool with the right lead scoring and grading to screen leads before they move down to the sales team to follow up. A study from Harvard Business Review showed that sales reps are seven times more likely to have substantial conversation with prospects if they respond to them within the first hour; 60 times more to qualify a lead that if waited for 24 hours to follow up a lead. The CRM may contain all pertinent information about the prospect but that won’t suffice the quality required. With careful probing and asking the right questions, reps will be able to profile the prospect’s demographic and psychographic data, his buying behavior and the business need. A strenuous workout and scientific diet may not the best ways to achieve your target body shape but doing less of these will, strength coach Marc Megna believes. So as the title of this blog starts with “quick ways” then we won’t linger on thorough research and jotting down a trailing list of steps to “improve your email marketing strategy”, instead we’ll look into tactics that would maximize time and effort, all at very least. their purchase behaviour and their interests. Your prospect won’t appreciate lengthy emails but nevertheless, a substantial content containing a WIIFM (what’s in it for me) benefit for the prospect and specific product/service that would answer the needs of the business pose a higher chance to be opened and less likely to go into thrash. Like if you’ve been doing 5 to 10 side lunges and one-legged squats for 2-3 months now and still not seeing apparent results, then do just 2-3 sets and do other much effective routines. “Hi John, how are you?”, “Good day to you, Ms. Lee, Hope this is a good time…” – opening blunders in emails such as these are likely to land in the trash or spam folders as they just don’t appear boring but rather weak. Remember that you are writing to a decision-maker, one who attends to several meetings (in and out of office) every day and who attends to multiple matters, dealing with various clients. He could hardly spend the time to read through fluffy emails so make your email short, straight to the point but never miss to keep it personalized to avoid becoming robotic. Call-to-action buttons, links, and boxes are designed to draw immediate response from your prospects. These are like strength-training tools that you must include in your emails in order to build a strong connection with your targets; necessary tools that would guide them through the buying journey. Click here, Download, Register, Schedule An Appointment, Order Now, Watch This Video and Sign up are just a few of the classic examples of call-to-actions that greatly help in converting visitors and readers into sales. Little changes can add up to big and major results. Start tweaking your email marketing strategy now to achieve a well-built sales and marketing campaign. With a lot of sunshine and vast resources, Australia has it made for renewable energy. As a leading country that has the most homes with solar panels, its government’s renewable energy programs just keeps getting updated every time. With this, solar power is poised to define the country’s energy future. While solar energy is really an environmental effort, there are a lot more reasons why businesses should also adopt or migrate to using solar energy. Here’s a list that we compiled for you. Dramatic decrease in energy bills, therefore lower operations costs. When you work from a 9 to 5 shift, this is when solar panels also work using the electricity generated during work hours. Australia is the sunniest place on earth, therefore it needs a huge amount of energy to run your business office. For example, air conditioning will always be at its highest capacity to ward off heat from outside and your employees need to be comfortable in order to work at their best. If this fails, your business fails as well. But surging electricity bills will hound you month by month. But with solar panels installed, you have the capability to eradicate electricity bills in the next 25 years. Reduction of carbon footprint that can be attributed to your business. Let’s face it, the world is in bad shape and we all have to do our share. By reducing your carbon consumption brought about by appliance and industrial gadgets, you contribute to the welfare of the environment. By doing this, you create a culture of socially responsible employees who in turn will care for clients as well. Other than ROI, you gain from government credits and feed-in tariffs. Solar energy in Australia is a serious matter and is prioritised by the government. To get credits through the Solar Credits Program, “an installation of a solar system would receive 5 times as many Renewable Energy Certificates for the first 1.5 kilowatts of capacity under the Renewable Energy Target”. Currently, there are 13 rebates programs for home and businesses that you can take advantage of when you install solar panels. Consequently, more and more people are opting to install solar panels to avoid surging electricity bills. Though environmental consciousness is still the number one reason, energy bills is also a strong reason. Surprisingly, the suburbs have the most solar panels compared to the urban landscape. From schools, factories, industrial facilities, petrol stations, farms, warehouses and storage facilities to commercial buildings, solar energy benefits everybody. With the rapid growth of the solar industry in Australia, solar providers should up their game to get ahead. There are plenty of marketing firms that specializes in solar lead generation. Oil & Gas, Architecture firms, Precision Engineering firms, Property Developers, Advertising Media or Graphic Design Houses, Large Manufacturing companies, Government-linked companies, Lawyers, Health, Pharmaceutical companies, and Building and Construction. Nothing is surprising in the fact that modern marketers are juggling different kinds of functions. Before, we only have telemarketing to worry about. Today, the B2B arena has opened itself up to social media and email marketing, forcing marketing managers to devote their time in keeping their lead generation and demand generation campaigns consistently efficient and productive across these channels. Time management is an essential component in any successful marketing and sales plan. Here are tips from a Business 2 Community article by Integrate’s Marketing Tech Strategist David Crane. List are great for organization. But the value of lists is more than the sum of their linear layout. Lists are a psychological tool that counteract the overwhelming feeling we get when thinking of everything we still haven’t done. The Zeigarnik Effect is what psychologists call our mind’s tendency to fixate on unfinished tasks. And when we fixate on all the tasks we need to accomplish, it weighs us down. We can’t concentrate, our creative thinking skills deflate like Lebron James’ ego after Game 6, and we simply become far less productive. Our attention has a limited capacity. Lists – especially more sophisticated listing practices such as those explained in David Allen’s book Getting Things Done – provide a plan that releases the part of our brain that struggles to hold each item on our mental “to-do” list. The simple act of planning how to finish something frees us from the stress that hinders our ability to complete tasks, and in effect, makes us more productive. So much valuable time is wasted with indecision or in committees, where it’s easy to involve more “salary” than required. Indecisiveness wastes time on trivial matters. And we see this every day in the workplace. Think of all the time you typically spend gathering the opinions of others for low-value issues? Does it really help? Probably not, and it wastes their time too. Regaining your time to focus on important initiatives is what will move the business needle. Write that down on your list. Your landing page is a vital component in your lead generation efforts. It’s basically a mechanism for turning visitors into paying customers. But it will usually take you a little longer to push people into committing to a certain offer. Essentially, you may want to make your landing pages effective so you can close the gap between a potential customer and a successful sale. Last February, Kapost featured ten ways that marketers can optimize their landing pages to boost marketing performance. We are able to publish five of them below, but here’s the link to the original post in case you want to know more. The same offers and content won’t be relevant to all your leads. Consider what someone who just discovered your company would be interested in reading. It probably isn’t the same content that would engage a lead who is closer to making a purchasing decision. You need to carefully plan your campaigns and landing pages to get the most out of paid search. Each landing page should reflect the content in a separate ad. Want an easy way to generate more leads? Entice prospects with a whitepaper, case study, or eBook and require them to fill out a form to download the content. This creates an opportunity for you to contact them in the future and you can get a better idea of how your most detailed content is performing. Even when it comes to business products, leads still want personal interactions with brands. However, you need to shift away from being overly promotional on your landing pages. Create content that is centered around your target prospects’ main interests. If you study your landing pages, you will likely to be able to find areas for improvement. How effective is your call to action? Is the page layout intuitive for how people are interacting with the content? A/B testing helps you answer these questions, as well as make adjustments to other areas of the content. Much of the room for improvement on many B2B landing pages involves weak calls to action. Your CTA needs to clearly tell visitors what’s in it for them. Tell potential leads how the action will help them. It’s also important to limit the conversion actions to as few steps as possible. Using a graphic to support the CTA can be effective as well. A Callbox Multi-touch Multi-channel Campaign is essentially a Comprehensive Marketing Funnel designed to unearth opportunities from an initial list of prospects compiled from basic target demographics, and deliver them to a client as qualified, pitch-ready, warmed-up sales leads. The Callbox method combines the efficacy of highly-personalized traditional marketing communication with the intelligent efficiency of automation. In our years of experience, we have found that touches via phone and email remain to be most effective at establishing connections in the B2B world. Data from various campaigns also clearly suggests the importance of timing. Our findings on optimizing triggers and actions form the basis of our Callbox Pipeline’s design. In its latest incarnation, the Callbox Pipeline provides clients with a flexible, user-friendly platform for Lead Nurturing. This case study traces the success of a B2B client from effective utilization of Callbox’s Lead Generation and Lead Nurturing technology. The client was the North America marketing manager for a software company specializing in SAP enterprise software solutions and business intelligence. The company is also an SAP consultancy with expertise in areas of SAP Implementation, Process Upgrade and Data Management. The company has roots in Canada and wanted to expand into the US market. The client was introduced to Callbox by an IT solutions business through the Callbox Referral Program. The California-based referrer company has been running a campaign targeting businesses nationwide with Callbox since January 2015. The client had worked with two other vendors for telemarketing services and three email service providers in the past. While these vendors were able to deliver basic calling and mass email services, the client needed a more efficient and comprehensive solution that could work seamlessly across both channels. Working with separate vendors for each channel left the client’s sales team the burden of coordinating campaign activities on different platforms, setting up each component of the campaigns themselves and much time spent on prequalification of leads generated. Callbox’s proposal for full service multi-touch multi-channel lead generation was found to be a more costefficient and all-inclusive alternative compared to contracting separate marketing services independently. The promise of a campaign greater than the sum of its parts and time savings on the client’s part allowing them to focus on sales efforts were part of the reasons behind the client’s decision to partner with Callbox. The company wished to increase its market presence in California, New York and Texas. While the company has had customers from a wide range of industries, the client wanted to focus the campaign on the Manufacturing sector. Companies with annual sales of $1M to $500M and with 10 to 2000 employees were included in the database. C-Level executives, Directors and Managers in charge of the business’ enterprise software solution were the target decision makers. Around 1500 records for each of the three states were mined from the Callbox Data Warehouse based on these parameters. 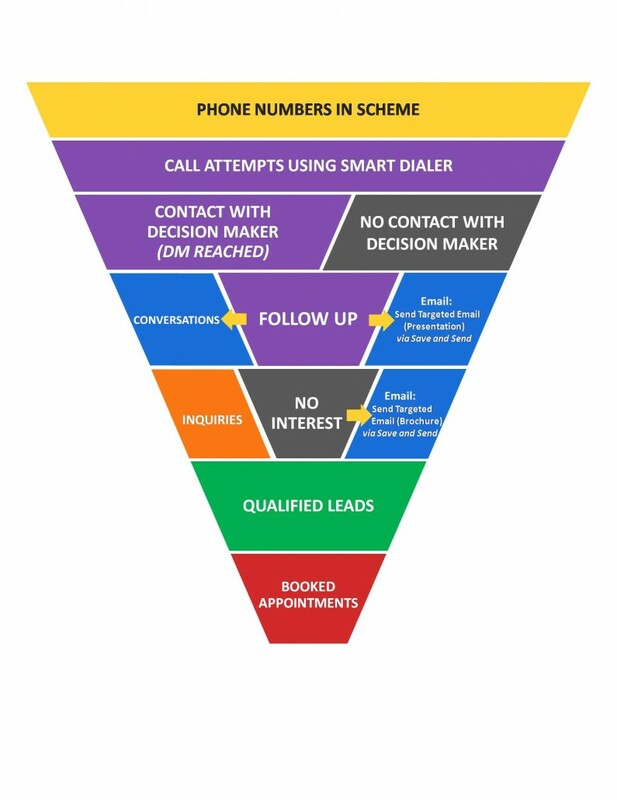 A Callbox appointment is created when a prospect goes through the five stages of the marketing funnel (see Fig. 1). Our Lead Nurturing methods are designed to move as many prospects from one stage to the next, and allowed the client to obtain the most possible number of meetings. The Callbox Data Warehouse is comprised of over 50 million business records in over 7 countries. With the aid of our Data Specialist and our data mining tools, the client was able to zero in on the portion of this data pool that matched their market criteria. To begin converting inert contacts into leads, Callbox initiated a Conversation – an exchange over phone or email with a decision maker. Multiple contact attempts and pre-conversations with non-decision makers (gatekeepers, recommenders and evaluators) were often needed in order gather information on and establish contact with a decision maker. In the conversation stage, the decision maker was given a presentation of client’s offer. Positive responses to a presentation were classified as inquiries. Inquiries often involved an initial request for information (brochure). Some cases required Callbox to make follow up calls and/or emails to confirm interest and check if the lead is ready to move to the next stage. Whenever a decision maker makes a contact request to get a full presentation and/or formal proposal from the client, the lead is said to have graduated to this stage. In cases when the prospect had an immediate need and very high level of interest, the leads were converted directly into Qualified Leads from the Conversation stage. In this stage, final preparations were made prior to endorsing the lead to the client. As required by the client’s qualifying criteria, screening questions were asked according to the approved call script. The prospect was also booked for a face-to-face or phone appointment with the client’s representative. Email copies were formulated to have attention-grabbing subject lines, brief but precise body text and compelling calls to action in order to generate the most opens and replies. A total of 15,000 initial and follow-up emails were sent via Callbox’s email system — fully equipped with open and click tracking, and KPI reporting. The campaign’s Lead Nurturing schemes relied mostly on Callbox Pipeline’s programmable email marketing triggers. Outbound calls facilitated by Callbox’s Dialer System ensured that more than 200 live calls were made 8 hours a day, 5 days a week. Callbox Pipeline also allowed the calling agent to efficiently leave pre-recorded voicemail messages. A landing page was created to complement the campaign’s outbound efforts via email and calling. Designed with professional and marketing aesthetics in mind, it featured the client’s brand and highlighted the main features of the client’s software. The landing page was also equipped with a web form to allow prospects to send in a contact request. Callbox Pipeline’s integrated Linkedin features allowed the Callbox team to find matching Linkedin profiles for each prospect in the contact list. Linkedin connection requests were sent to as many contacts as possible with an accompanying introduction text. Client also opted to have Callbox send out messages to all connections made as another possible avenue to generate leads. The client was one of the first to take advantage of Callbox’s supplementary snail mail and SMS capabilities. For this campaign, these channels were used to deliver promotional postcards to the prospects’ business address and send out mobile appointment reminders. Callbox Pipeline’s tools for Lead Nurturing allowed the Callbox team to maximize the campaign hours and reserve manual effort for more critical tasks (eg. presenting to decision makers, customized email response handling) and left most of the repetitive and time-sensitive legwork to automation. An Introduction email was sent out to all email contacts in the prospect’s list (See Fig. 3). Three follow up emails spaced five days apart were programmed to be sent out to contacts who had no opens recorded, allowing multiple opportunities to convert contacts into opens. Emails were mostly set to send out between 8:00AM to 10:00AM local time, as these were determined to be the optimal hours for email blasts based on Callbox analytics. Latter follow-up copies were set to send out at 4:00PM- 6:00PM to increase the chances of generating opens if the first attempts were unsuccessful. Contacts who opened the email and visited the landing page were added to a Priority Call List for further nurturing by phone. Email responses and inquiries from the landing page are logged into the Callbox Pipeline and inquiries not converted into booked appointments after three days were lined up for a round of follow-up emails. By the end of the Online Lead Nurturing Cycle, all contacts with no opens recorded were also collected into another Call List, to which the Call Lead Nurturing Scheme was applied. Prospects were led to the landing page primarily via email sendouts. Each contact request sent in by a prospect was received by the Callbox team as an email notification and treated as in inquiry. Automated actions under the Call Lead Nurturing Scheme (See Fig. 4) were determined by the Call Result Tag applied to the contact after each call attempt. Callbox Pipeline was programmed to send out different email copies if the call resulted in (a) no contact with a decision maker, (b) a decision maker requesting for a follow up or a (c) non-interested decision maker. Email brochures and meeting reminders were sent out automatically to all booked appointments. By the end of the campaign term, the client was averaging 12 face to face meetings and 23 phone appointments per week. The client’s sales team was able to move 82% of all appointments into proposal stage and garnered 2 closed deals within the first two weeks, generating a three-fold return from their initial investment in the Callbox campaign. Of the 15,719 emails delivered, 2247 opens (14.3%) and 193 click-throughs (1.2%) were recorded. 218 inquiries were generated out of 943 total replies received. Email marketing contributed to roughly 38% of all appointments generated while meetings from contact form inquiries comprised another 9%. Out of the 9046 records comprising the initial campaign list, 7870 records (87%) were fully profiled, complete with verified names, job titles and email addresses. Below is the number of Targets on each stage of the Marketing Funnel after only 12 weeks in the Callbox Multi-touch Multi-channel Lead Nurturing Campaign. With the Client’s previous telemarketing and email marketing service providers, the Client was able to convert 2% of raw targets into booked appointments only after running the campaigns for about 6.5 months or 26 weeks. Callbox cut this time into half, and significantly moved more targets into the later stages of the marketing cycle. This was enough to convince the Client to expand the number of campaigns they are running with Callbox. It is not every day businesses encounter a declined purchase. But when they do, it has the effect of a sledgehammer to the face. We’re exaggerating of course. But it brings an uncomfortable feeling that despite your best branding and lead generation efforts, there are clients who suddenly decide to back away from your offers. They are not aware of your product. Consumers cannot purchase products they are not aware of. If you are marketing, but consumers still don’t know about your product it may be time to evaluate why it’s not working. It’s important to remember that the solution is not always more marketing, because the problem may lie with where you are marketing at, and what marketing vehicles you are using. They don’t understand the benefits of your product. Consumers don’t buy products solely based on price. Now, this does not mean that they don’t factor in price, they do. Consumers buy based on the benefits your product brings them. Create a list of the top three benefits of your product and use those in your marketing message. They don’t feel your product has perceived value. Consumers will not buy products that they perceive as having no value. Why should customers value your product? You can use the benefits of your product to create a perceived value and it is that perceived value that helps in the sales of your product. If a customer cannot see value they will simply pass your product by. You must create that perceived value in your marketing message. They don’t see how your product meets their needs. We’ve talked about benefits and perceived value, now let’s talk about needs. Do consumers know how your product meets their needs? Does it make their life easier, save them time, make them feel better? What need does your product satisfy? You have to tell consumers that, don’t make them guess or come up with the answer on their own tell them and help educate them on why they need your product. Your product is not accessible to them. Consumers cannot buy what is not available to them. If they hear about your product but it is not accessible, forget it. Consumers want ease in obtaining and using your product. Evaluate the accessibility of your product and see if you need to make changes. Do you want to upsize your sales efficiency? Have us handle your B2B lead generation and appointment setting. We’re just a phone call and a fill form away. Make no mistake. Summer is just around the corner indicated by a gradual rise in temperatures across the outback. But aside from that, we are also expecting B2B businesses to heat their multi-channel B2B marketing campaigns not only for this particular season, but also for the rest of the year. This also entails a good deal of spending for social media marketing, but does tweeting and posting Facebook status updates still relevant? Generally, there is a high reliance on social media platforms among B2B enterprises, with 84% still regard social media as an important provider of quality leads. Some even note that they were able to close a buyer through Facebook and LinkedIn. So, the question whether social media has a little spark left in it has found its answer: Yes, there is. But as buyers now have nurtured more sophisticated tastes in selecting the type of solutions that fit their needs, it is essential now for suppliers to reevaluate their social media campaigns to better maintain attributed revenue, close sales, and manage relevant communications with existing clients. Take these social media tips into account and keep your sales all fired up with quality B2B leads. Social media’s magic is sourced mainly from its capability to enable the sharing of content. An obvious consequence of this is reach expansion. Allowing visitors to share your content within their own networks introduces you to potential opportunities, thus driving more traffic of marketing leads. This is a given. But while we can say posting content is easy, coming up with ideas on what to post isn’t. Fact of the matter is that quality dominates quantity anytime of the day. Hence, aim for content that can easily turn people from mere followers to leads. Do your own research on key problems of a particular industry and offer new, relevant wisdom to specific issues. To drive the best possible leads, it is important to formulate a social media content plan that centers on the immediate needs of a given niche. You should be able to diversify your blog posts and other resources to target specific segments of your audience. Take some time off to consider outsourcing your core marketing and sales processes. There are lead generation companies that offer competent handling of multi-channel strategies that go well with your strategies. 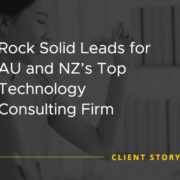 The Client is the largest independent Oracle, PeopleSoft and JD Edwards consulting organization in Australia and New Zealand as well as the largest Oracle, PeopleSoft, JD Edwards and Microsoft SQL Server support organization in Australia and New Zealand. The Client is a specialized technology consulting organization focused on building and supporting long-term relationships with enterprise and government customers. The Client is an Oracle Certified Advantage Partner, the highest level of partnership with Oracle, only achieved by a few companies globally. They provide a complete service continuum of Oracle, PeopleSoft, JD Edwards and SQL Server including: sales, planning, design, implementation, project management and support. Their offices are based in Australia and New Zealand and their support centre services a large diverse client-base located across five countries. Callbox launched two campaigns; Lead Generation through Telemarketing, and a Call-to-Invite Campaign. Callbox agents made calls to CIOs of companies from a list of prospects provided by the Client. Every call began with the introduction of the Client’s company, followed by an invitation to an introductory chat about the benefits of the Client’s support services with the Client’s Business Development Manager. Once a positive response was received, Callbox callers emailed information about the Client’s services and collected the prospect’s mobile number and preferred time of meeting. This information was entered into PipelineCRM, Callbox’s customer relationship management system, for the Client to review and follow-up. The Callbox callers collected contact information from prospects who signified their intention to attend the free leadership forum. They collected the attendees’ names, company names and email addresses for the Client’s registration files. Prospects who informed Callbox that they failed to receive invites to the event were sent invitations through email and received a confirmation call 48 hours later. Both campaigns were executed quickly and immediately, giving the Client enough warm leads to follow-up right away, and a good number of attendees to their event. The Client especially enjoyed working with the Callbox team, citing the team’s excellent communications skills and efficiency. The Client was also pleased with the convenience and flexibility of lead tracking and management with the use of Callbox’s PipelineCRM. Having received good quality leads following a successful company event, the Client plans to use Callbox’s services for future lead generation campaigns as well as promotional and invitational campaigns for company-sponsored events. The Client has excellent brand recognition in Australia and its products have strong market potential. However, it had difficulty penetrating foreign markets often dominated by large global competitors. The Client did not invest significantly in marketing aside from the irregular cold calling efforts by its sales staff. The primary source of new clients was word of mouth. This campaign required technically sound telemarketers with firsthand experience in selling software systems. Having campaigned on behalf of several IT and software companies for many years, Callbox was qualified for the challenge. Following a campaign brief, Callbox set up an outbound telemarketing team. The Client specified potential customers: IT Directors, CIOs, Managers, and C-level Executives. Callbox prepared a customized telemarketing list and created personalized scripts based on typical market response and various selling scenarios. Callbox implemented stringent QA monitoring to ensure that every lead and appointment generation effort supported the Client’s requirements. Callbox encouraged the Client’s active participation in each campaign process – from script development to new product trainings and lead qualification. This allowed to Client to provide inputs and feedback as the campaign progressed. Callbox maintained an impressive momentum throughout the 18-month calling campaign, contacting 4,887 companies at an average of 222 calls per day. The Client witnessed the action in real-time via Callbox’s Pipeline CRM, which also allowed it to respond promptly to appointments and other actionable results. Out of 88,000 calls, 17% resulted in positive contacts. Of those spoken to, 31% agreed to a demo and 28% requested additional info. Callbox delivered a total of 357 qualified appointments at an average of one appointment per day. From that, 44 (12.3%) resulted in sales. Simply put, the Client got a sale for every 2000 calls made by Callbox; about 2.5 sales per month. Greatly impressed by its performance, the Client continues to rely on Callbox for its outbound marketing campaigns, as it continues to grow its market share, not only in Australia, but now in the expanded markets of New Zealand, Brunei, and India. It also intends to hire additional agents to keep up with the influx of new leads and further increase its marketing activities. The Client was one of Callbox’s first accounts in the Asia-Pacific region, and it has continued to use its services since the first campaign in 2007. The Client also used Callbox in other projects including a call-to-invite campaign targeting Dubai and UAE, lead generation in Europe, SEO, and market research.